Yoga is a great way to stretch your body and get moving! Try these 10 energizing yoga poses in the morning and get ready for the day ahead. Wake up ready to face the day with a quick and easy yoga routine! 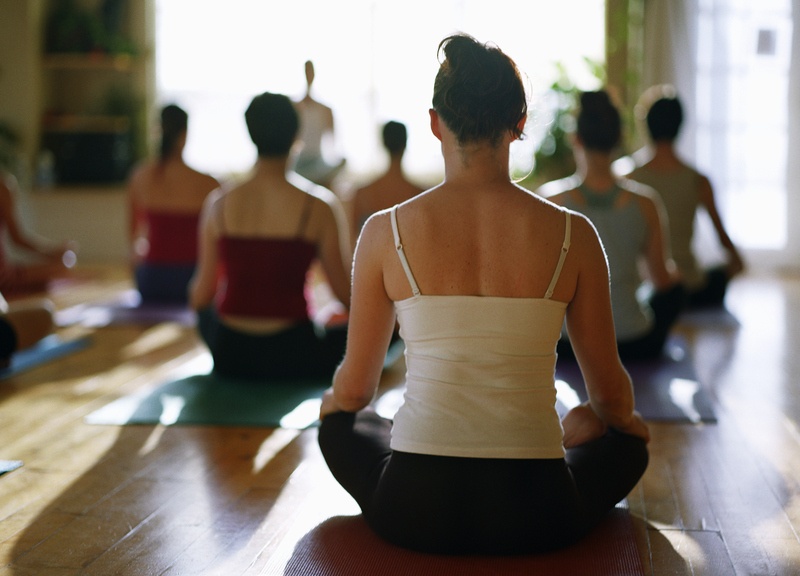 Yoga has many benefits, including increased flexibility, strength and blood flow. These 10 poses will energize you and get your day started right. Alignment Points: Your feet should be hip-width apart for stability with your hands supporting your head and cervical spine. Benefits of Pose: Backbends stretch and strengthen arms, shoulders, back and core muscles. This pose also aids in better respiration, helps with digestion and increases awareness. Alignment Points: Sit tall at front edge of the chair with feet firmly on the floor, and make sure your back is off the chair. Watch to make sure the spine is not curled. Your heart should be center and your chin forward. Shoulder blades are pulled back. If shoulders are tight or there is pain in the shoulders, you must keep your arms low on the chair. Benefits of Pose: Fan Pose is a ‘heart opener’ which stimulates the immune system, opens upper respiratory muscles and stretches shoulders and arms. This pose also increases awareness of the action of the shoulder blades, aids in digestion and stretches the belly. Alignment Points: Your feet are in a wide stance with toes pointing out. Put your palms out and raise arms up. Lengthen your spine and look up. Use the chair for extra balance/support if needed. Engage leg muscles when lifting. Benefits of Pose: Pose of Gratitude strengthens feet, legs and arches. It increases focus and awareness as well as core and back strength. Alignment Points: Make sure to keep your knees loose and slightly bent. Try to get weight onto all sides of the feet. Benefits of Pose: Take It Around Town strengthens feet, legs and arches. This pose increases focus and awareness, as well as increases synovial fluid in bursa sacks surrounding hip joints. Alignment Points: Check for proper alignment in body. Use a chair for extra support if needed. Engage legs and core, and lift heels off the ground while pressing firmly into balls of feet. Exhale as you lower your heels to the ground. Gaze at a stationary focal point. Benefits of Pose: Strengthens legs, ankles, feet and arches. Increases focus and awareness. Increases core strength. Alignment Points: Stand tall with feet parallel and relax tail bone down for a neutral pelvis. Hold palms outward and raise arms up with shoulders down and extend through finger tips. Place weight into heels. Benefits of Pose: Increases awareness of posture over all. Lengthens the entire spine. Can help improve balance when practiced with eyes closed. Alignment Points: Stand tall with feet parallel and relax tailbone down for a neutral pelvis. Lift up through the spine. Tuck chin in slightly, and keep head balanced over shoulders. Benefits of Pose: Increases awareness of posture overall. Lengthens the entire spine. Can help improve balance when practiced with eyes closed. Alignment Points: Stand tall and draw navel in to engage abdominal muscles. Place hands on upper legs just above the knees as you lean forward into a flat back. Bend knees if your back and hamstrings are tight. Your gaze should rest down to ensure your head, neck and spine are in a long line. Benefits of Pose: Aligns shoulders and symmetrically stretches back muscles. Increases balance and awareness.